Chelsea travel to Liverpool on Sunday for what will most certainly be the biggest showdown in the Premier League this season. The Blues have won the past three of their league games and many believe Sarri’s men are the last big side who can derail Liverpool from their Premier League challenge much like they did in 2014. But speaking before the game, Chelsea winger Eden Hazard has made it clear that the Blues are only focusing on the game and now what happens with the title challenge. 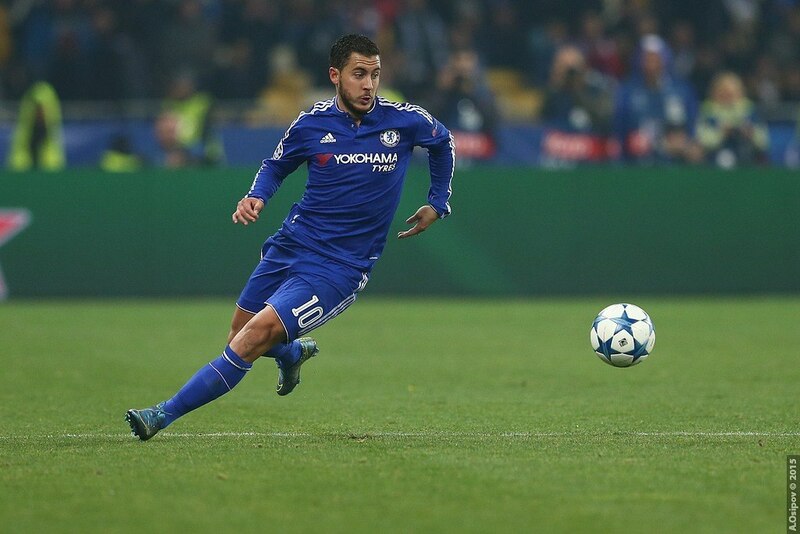 ‘We don’t care about who can win the title, we’ll go there and try to win the game,’ Hazard told the BBC(via Metro). ‘They are a fantastic team to watch, their manager is great. They have some of the best players in the world. But we are Chelsea, we can beat anyone. ‘Yeah of course [we can challenge] we are Chelsea. Every year we need to start thinking at the start of the season we can win a trophy. ‘It is hard because at the moment City and Liverpool are better than Chelsea but we are Chelsea and the last 10 years we won a lot of trophies. Derailing Liverpool or not, but Chelsea will most certainly have to win this game if they wish to remain relevant in the top four race this season. Both Manchester United and Spurs have won their respective Premier League games on Saturday and with Arsenal playing Watford on Monday, the Gunners are more or less certain to pick up all three points. So in such a scenario, if Chelsea fail to win vs Liverpool on Sunday they winning the Europa League might just be the only option left for them to get back into the Champions League next season. Read: 4-3-3 Chelsea’s predicted line up vs Liverpool. Read: Jurgen Klopp speaks out on Mo Salah being racially abused by some Chelsea fans. Read: 4-3-3 Liverpool’s predicted line-up vs Chelsea. Read: Jurgen Klopp is not very happy with Chelsea’s position on the league table. Previous article4-3-3 Liverpool’s predicted line-up vs Chelsea: Henderson to get a new role?